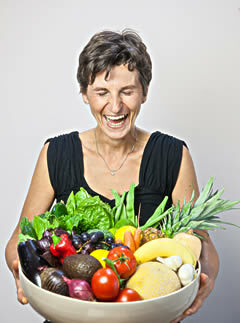 Gabriela has trained in raw nutrition, integrative nutrition and personal development consulting. Bringing her skills together, she teaches her unique approach of a nutrient dense, low sugar diet combined with healthy exercise, mindfulness and an attitude of health through her classes, retreats and in 1-to-1 coaching programs. Gabriela lives in rural Dorset in the South West of England and works with clients all over the world. She is hosting several Raw Food Vitality weeks at the healing Boutique Hotel Vivenda Miranda in Lagos, Algarve, Portugal. This unique raw food holiday experience will teach you how to prepare and eat indulgent, delicious raw food.